It was recently announced that the legal battle over the CRISPR/Cas9 patents is likely finished with the Broad Institute prevailing above UC Berkeley. This ongoing debate began in 2014 with multiple research groups and institutions claiming rights to the CRISPR/Cas9 technology. The researchers involved in this case are Dr. Jennifer Doudna (UC Berkeley) and Dr. Emmanuelle Charpentier (University of Vienna) who engineered the Cas9 endonuclease from a four-part complex into a two-part complex which contains a single guide RNA (gRNA). The gRNA is the sequence that dictates the location inside a DNA strand that the endonuclease will cut. 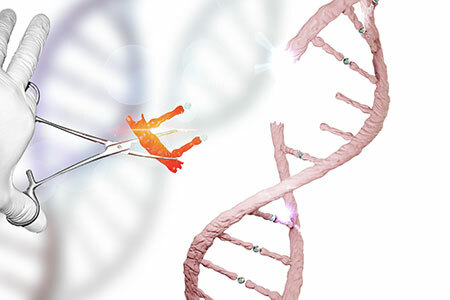 Another research group led by Dr. Virginijus Šikšnys showed that the Cas9 endonuclease complex can also be modified by changing the CRISPR RNA (crRNA) sequence which led to even more specific genome editing. The key player from the Broad Institute is Dr. Feng Zhang, who claims that his implementation of the technology in eukaryotic systems is significantly different than Doudna's original work in prokaryotic organisms alone. The United States Patent and Trademark Office (USPTO) agreed with this and stated that the invention was unique and separately patentable. While the consensus amongst the legal community is that this debate is over, Doudna, Charpentier, and UC Berkeley could still pursue additional rights to use the CRISPR/Cas9 gene editing system in eukaryotes. Taconic Biosciences was the first commercial company to hold a CRISPR license from the Broad Institute. Under the current agreement, Taconic also receives a worldwide, non-exclusive license to the CRISPR-Cas9 patent often referred to as the "UC Berkeley patent." ERS Genomics founder, Emmanuelle Charpentier, is a co-inventor of the CRISPR-Cas9 technology. This agreement with ERS complements Taconic's CRISPR service platform, adding to its existing license with the Broad Institute. Holding licenses with both groups provides Taconic access for use in all cell types as well as for use in both mouse and rat species, a rare distinction within the animal model field. Taconic is a fully-licensed provider of rodent model generation services and has twenty years of model design experience. Additionally, Taconic has a unique capability of providing a seamless transition from model design to breeding and colony management, which offers customers a complete solution. These scientific services include acquiring or generating, importing, licensing, breeding, testing, preparing, and distributing genetically engineered models to any location worldwide.